Company Overview - P.D. 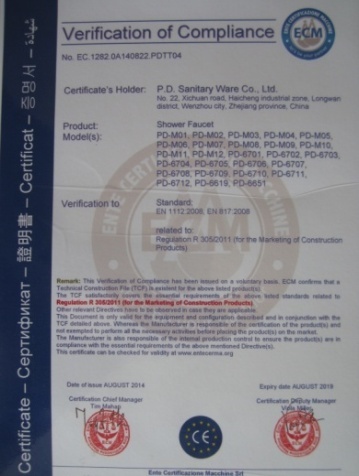 Sanitary Ware Co., Ltd.
9YRSP.D. 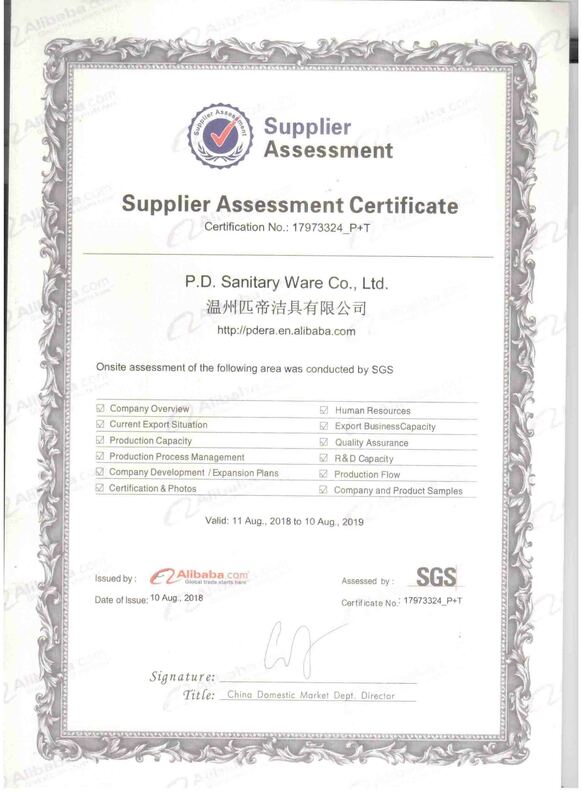 Sanitary Ware Co., Ltd. Located in Haicheng industrial Zone, Wenzhou City - the Base of Faucet Manufacture in China, P.D. 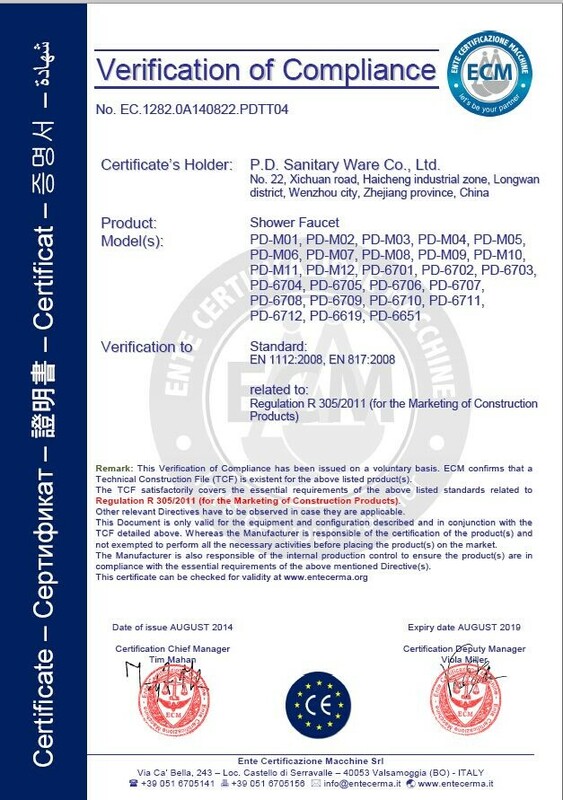 Sanitary Ware Co., Ltd. is engaged in manufacturing and marketing Sanitary Ware & Plumbing products. With a highly professional staff team, we have been a professional manufacturer in the production of Sanitary Fittings. We have a complete set of production processes such as Casting, Machining, Polishing, Plating, Assembling and Service. Our products are widely used in bathrooms, kitchens, villas, hotels and tenements. In domestic market, our sales-net has covered almost all the major medium-sized cities. In overseas market, we export our products to many countries in Europe, the Middle East, Oceania, South America, Asia as well as Africa. Competitive prices and high-quality products have been proved and appraised by customers and our company is now widely known both at home and abroad. Our products have walked out the ironclad first step of our dream of international brand. The products are produced and tested according to international quality standards, high water-pressure tests and high air-pressure seal tests making sure no leakage of products. We choose high quality materials, glossy polishing, advanced plating technology and equipment. With cartridge of usage design standard for over 300 thousand times, it makes you have enough reason & confidence to purchase our products. Our company follows our upward spirit of "Keep Faith, Factualism & Innovation", and continually supplies good & new products to you. You will see our devotion and our comfortable products. All workers of P.D. always work hard to produce more comfortable and better sanitary products for you.